After an initial release that broke a number of PlayStation 3 consoles, Sony has assured fans that a new version of the console's 4.45 firmware update will arrive next week. If you fired up your PlayStation 3 on Wednesday, you may have noticed that Sony had released a new update for the system. 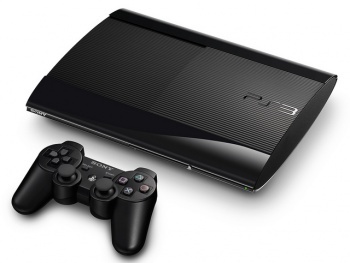 It included the standard list of fixes and minor functionality changes, but most notably the update also had a tendency to cause major issues on any PlayStation 3 equipped with a non-native hard drive. Many who had taken steps to replace their PlayStation 3 drives with larger storage devices found that their XMB icons had vanished, while others found that the update caused their system to stop functioning almost entirely. Obviously this was a pretty big egg on Sony's face, given that the company has long approved of people upgrading their consoles in this way, and as such the gaming giant scrambled to cobble together a fix tout de suite. That solution now exists, and should be released to players on Thursday, June 27. This is said to be a gradual roll out, so if you don't find the patch immediately on the morning of the 27th, wait a bit and it should appear. And all of those issues caused by the initial release of the 4.45 update? Supposedly this new patch will fix all such problems, but we remain pessimistic until the new patch has arrived and its been proven that the thing doesn't cause any more headaches than it already has. C'mon Sony, you had such a great E3. Don't blow all of that good will on faulty patches.